A late morning, to early afternoon visit, starting overcast before brightening up. 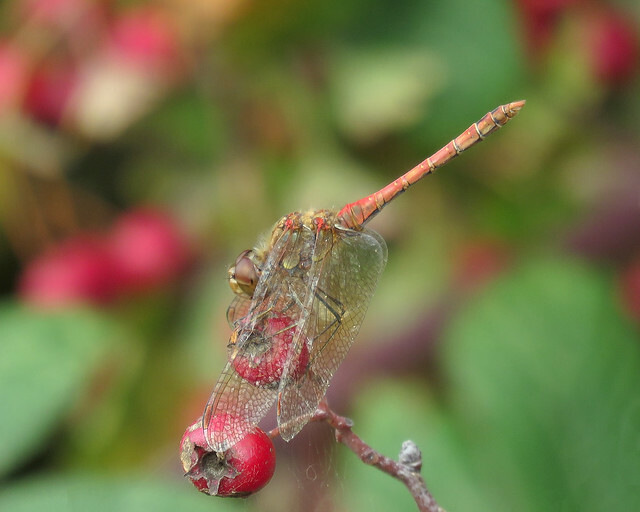 A moderate to fresh southerly breeze blowing, temperatures reaching around 20 degrees C.
Good numbers of Common Darter Sympetrum striolatum still active, with a few Migrant Hawker Aeshna mixta still displaying breeding behavior with several pairs in cop, along with a single female ovipositing on Carp Lake. Four species of butterfly active including a tatty Small White Pieris rapae along the western path, along with a single Speckled Wood Pararge aegeria. 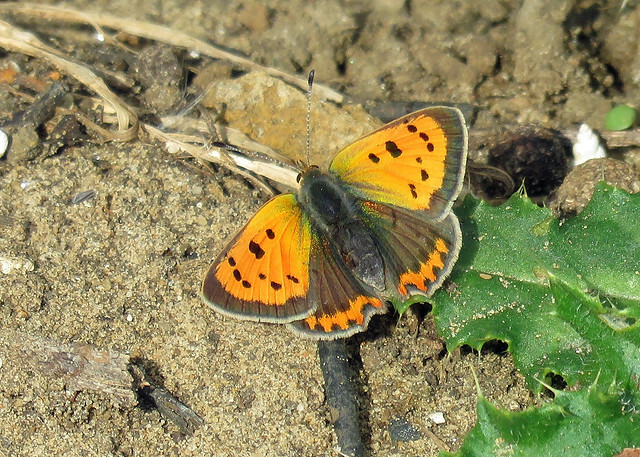 Near the Dragonfly ponds several Small Copper Lycaena phlaeas were active, along with a further two along the path to Turret Hide. 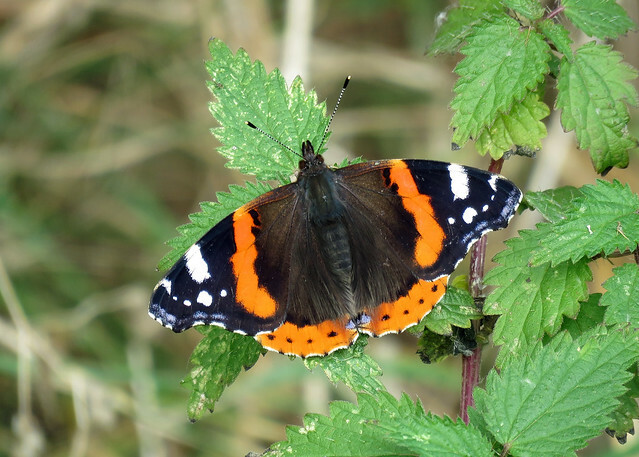 Red Admiral Vanessa atalanta was trying to shelter in Black Dyke out of the wind. 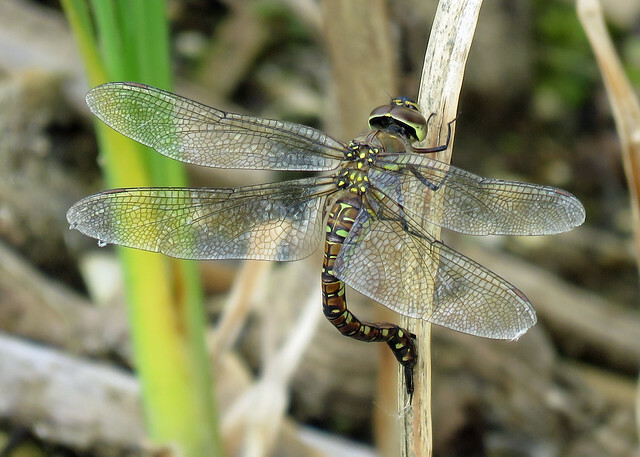 True Bugs included a Field Damsel Bug Nabis ferus in the north-west corner. 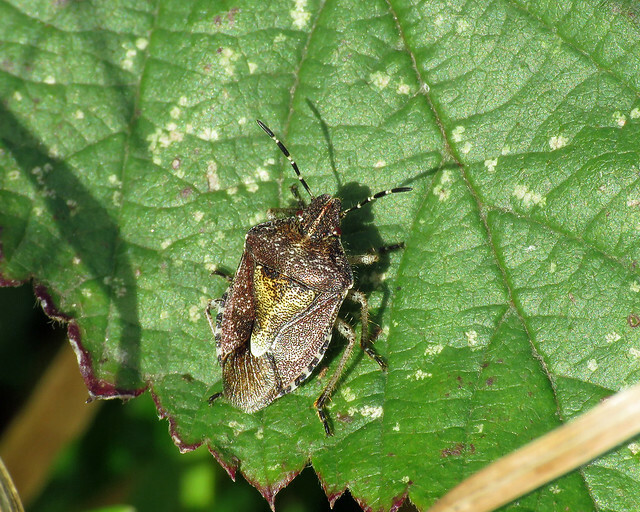 A Hairy Shieldbug Dolycoris baccarum was along the Northern Path, with a few Spiked Shieldbug Picromerus bidens also found around the reserve. Beetle-wise only three species of Ladybird noted, 7-spot Ladybird Coccinella septempunctata failry numerous with a few 22-spot Ladybird Psyllobora vigintiduopunctata found along Dryham Lane. 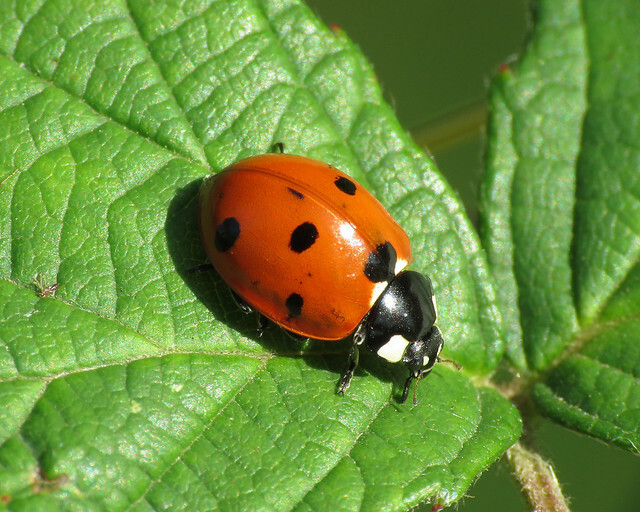 Several Harlequin Ladybird Harmonia axyridis were found inside Turret Hide. 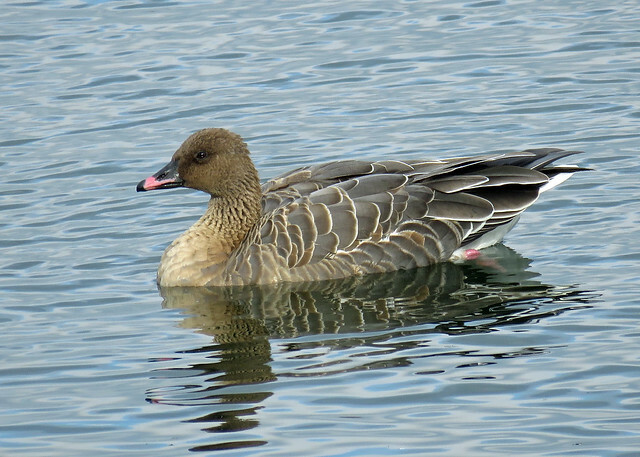 Bird-wise, nothing out of the ordinary though the lone Pink-footed Goose Anser brachyrhynchus associating with the Greylag Geese Anser anser was showing well on Main Lake from the hide. 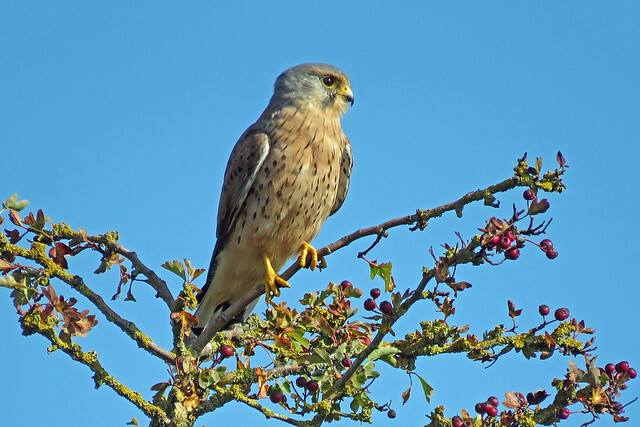 A Kestrel Falco tinnunculus was trying to catch Dragonflies from the northern hedge, though didn’t appear to succeed. 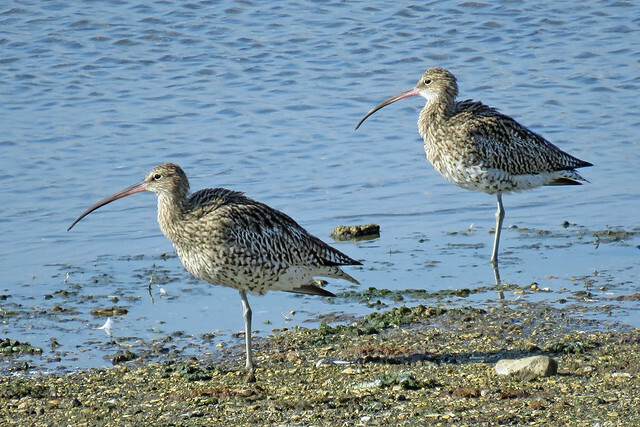 Finally four Curlew Numenius arquata were having a clean up on Island Lake.